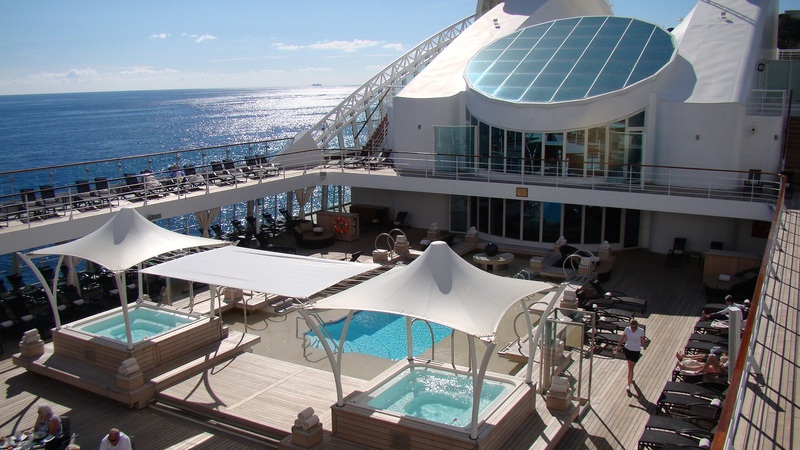 Here’s the beautiful ship we spent two weeks in the Mediterranean on – the Seabourn Sojourn. It’s all-inclusive and has only 225 suites. Our itinerary started in Monte Carlo and ended in Athens, with stops in Italy, Sicily, Crete, Malta and Greece in between. Despite it being late October we literally spent a few hours every afternoon in the pool and hot tubs, which were just steps from our suite. 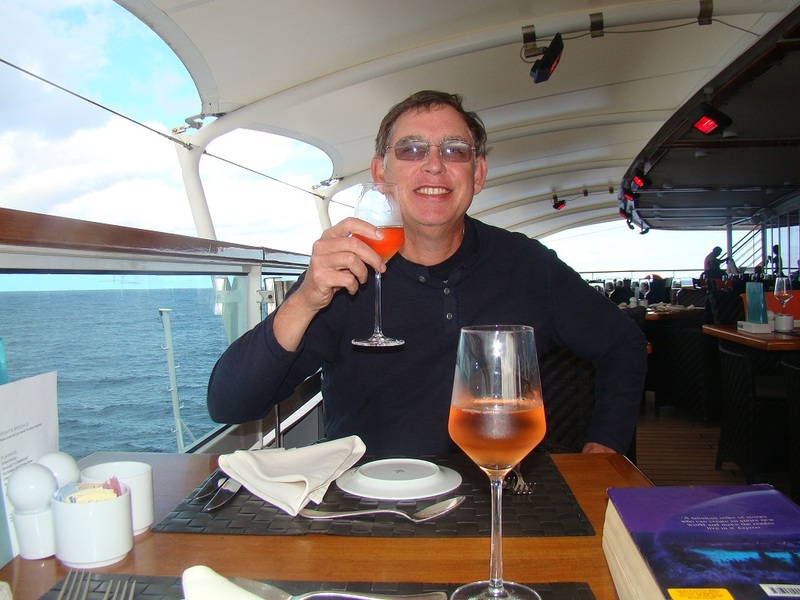 We had every breakfast, lunch and most dinners in the outdoor Colonnade restaurant, which was situated at the very rear of the ship. 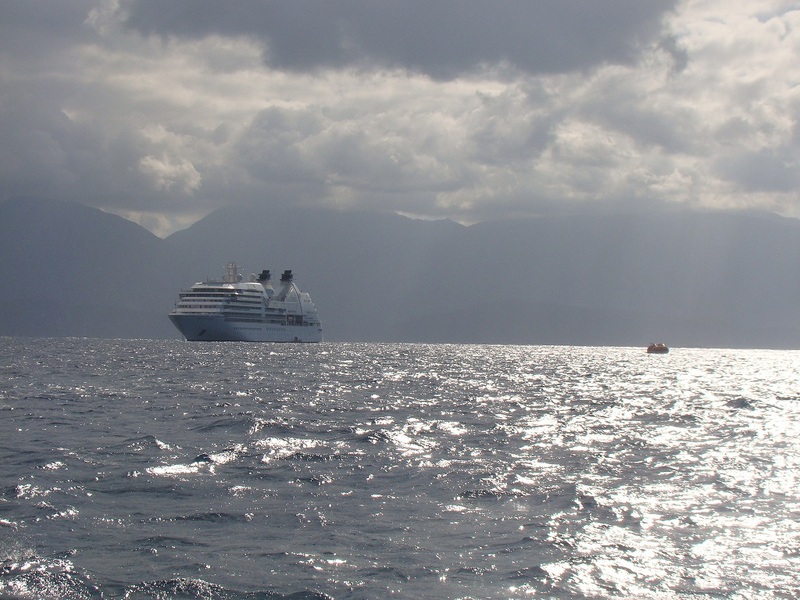 It offered gorgeous views of the sea as it slipped by and the ports as we approached. There were infrared lamps in the ceiling for cool evenings and the staff also provided warm wool blankets if needed. 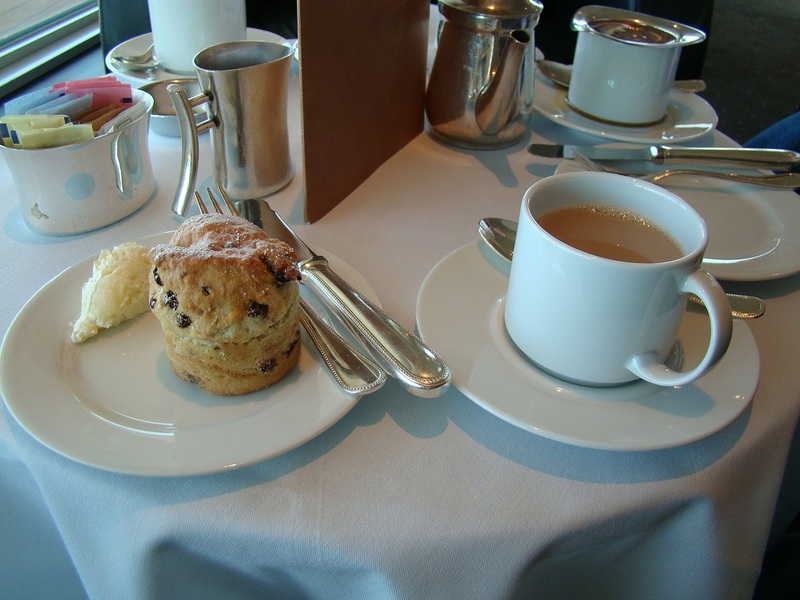 Like our cruise on the Queen Mary 2, tea was served every afternoon. We only went once. There was just so much food! The scones and clotted cream were to die for. The Queen Mary 2 only provides a bridge tour to the first 20 people (out of 2600 on board) who sign up. 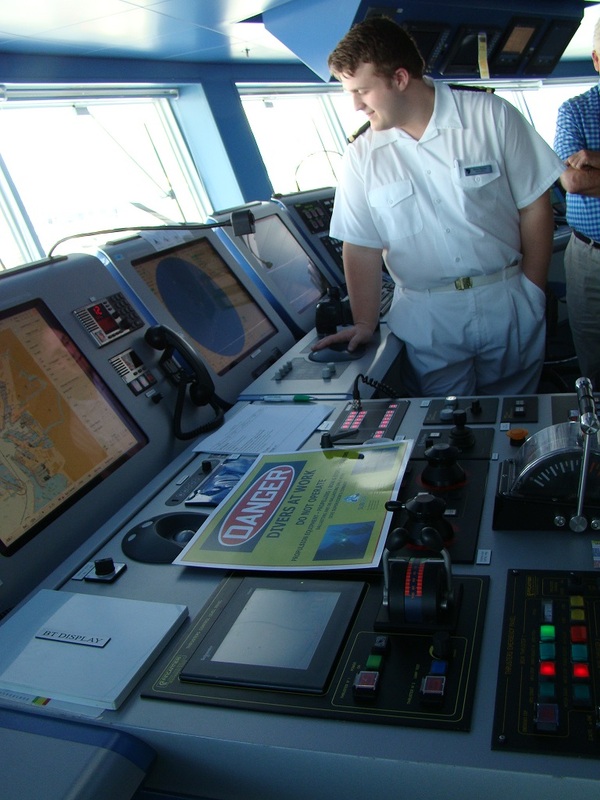 Everyone who was interested in seeing the bridge on the Sojourn got to go. We spent about an hour getting the full tour. We also had a very interesting tour of the ship’s galley with the chef, and went shopping with him in port the next day. I’ll share those photos when I get them sorted out, as well as some port highlights. Stuff dreams are made of.